The worst offenders are India and China—countries where ancient cultural traditions, dictating a preference for male offspring, join with pro-abortion government policies. It’s a deadly combination that allows for the deliberate extermination of girls. However, no country is immune, including the United States. Recently, a disturbing story and photograph went viral. A woman, very visibly pregnant with twins , decided to have an abortion because they were girls. Keep in mind that gender is determined via ultrasound near the 20th week of pregnancy, meaning this mother was well into her second trimester when she had her babies aborted. Also, this summer, the investigative pro-life group, Live Action, released a series of videos called Protect Our Girls , which exposed Planned Parenthood’s disturbing practice of actually doing gender-based abortions. They claim to be “nonjudgmental,” essentially stating they don’t question the reasons why a mother wishes to end the life of her unborn child. 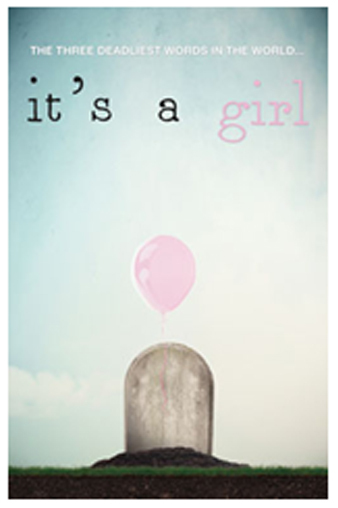 I can’t think of anything more judgmental than sentencing a baby girl to death simply because she’s female. And I can’t think of any other act that is motivated by more ruthless discrimination. Pro-abortion activists like Planned Parenthood are accusing pro-life individuals and candidates for participating in a “war on women.” What utter hypocrisy. All the while they’re searching out and killing unborn babies only because they’re female. There’s no graver war on women than this. Sadly, Planned Parenthood isn’t alone. There are many who refuse to acknowledge this travesty taking place across the globe, or worse yet, they participate in it. However, I’m privileged to know someone who’s made it her mission to combat this ignorance and crime against humanity. She’s bringing it to the forefront in a way that it can be addressed educationally, morally and actionably. he is Reggie Littlejohn, president of Women’s Rights Without Frontiers . Educate yourself by watching Cries From China , an episode of our Emmy® Award-winning TV program, Facing Life Head-On, when I met Reggie for the first time. This entry was posted in 2012, International, The Latest by Editor1. Bookmark the permalink.